Early literacy is more than just reading, talking and singing with your child. What you say and share has just as much impact as how it's delivered. Whether its through books, conversations or jokes, a shared and diverse mix of activities and interactions with young children can shape the way they see, interpret and understand the world around them. Each month, we'll journey through the alphabet, discovering different ways of creating memories and moments to share with the children in your life. Creativity in the preschool years can have lasting effects on a child's development. Beyond strengthening fine motor skills that will come in handy when learning to write, creative pastimes during childhood allow a child the opportunities to test out theories, explore new ideas and create something completely unique and true to themselves. Process art focuses on the process that goes into creation. Product art focuses solely on the end design. With process art, children get to practice painting, using scissors and designing art pieces without having to worry about following a strict set of directions. Engaging in process art helps children develop self-regulation and self-control as they explore the different art supplies and problem-solve which materials to use and how much of it to use for their project. 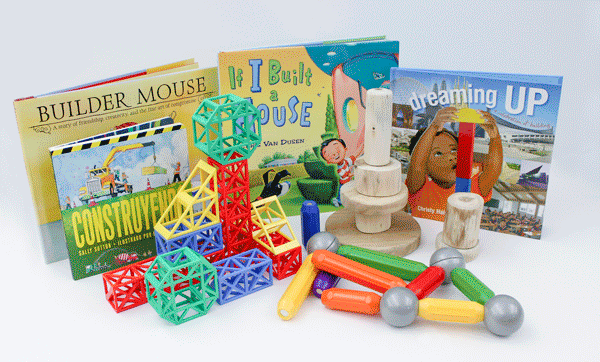 With no final product in mind, children can freely explore all the available materials without feeling restricted. Although process art is the most common form of creativity, it is not the only way for children to explore their imaginations and learn how to express their thoughts and ideas. Creativity is many things. Mostly, creativity is about finding joy in the unique experiences of life. Creativity is a way to shoo away boredom and it's a chance to have fun and test boundaries in a safe way. Children use their small motor skills when painting, gluing, or molding clay. Small motor skills are integral to future writing skills. Large motor skills are used when children play in full-body activities like tag or on the playground. Tell me about your picture. What are the rules to this game? How did you come up with the idea for this song? How would you change this song? This book? This picture? Memories: at the end of the day, recap the highs and lows. Creativity allows for children to share their ideas with others, exploring different ideas for group play, or single-player activities. Recap the day to help create lasting memories. Children are constantly moving. Children are also constantly learning through movement. Dancing is a not only a highly physical activity, it also supports a child's social-emotional and cognitive development. Dancing requires practice and repetition, which supports the development of coordination, discipline and focus. These are all valuable tools to carry into the classroom environment. Through dancing, children develop an awareness of their body and how to use that body for problem-solving and expression. These cognitive functions allow children a better understanding of how the world functions and how they function in the world. For example, telling a child to "leap over a river" when dancing at home also provides children with an idea of how to problem solve in the real world. They can transfer this concept to leaping over a spill at home or leaping over sticks and rocks outdoors. Dancing can happen anywhere and at any time. We dance during Storytime, and we dance during Music & Movement at the library. We dance to music in the car in our seats, and we can dance at the park or at home. If you or your child isn't interested in dancing, there are other full-body activities to participate in for the same benefits. 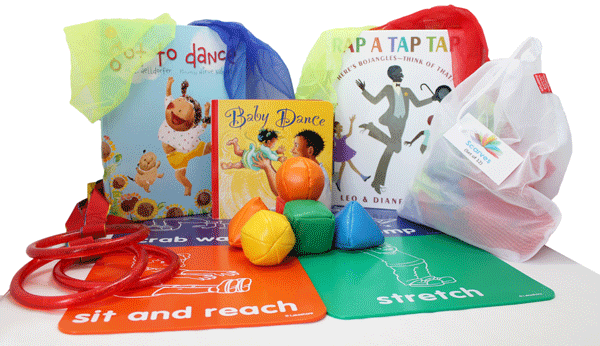 Whether your art is in dancing or creating, books and Wee Play & Learn Activity Kits are a great way to find creative inspiration. Start with these out-of-the-box titles and add your own stories to the mix. Submitted by Nari Ferderer on Thursday, February 7, 2019 - 7:00 AM.